The General Awareness Section of Banking Exams covers numerous sections in it like Banking Awareness, Static GK, and Current Affairs. But the most important thing that you might have noticed is that both the Banking Awareness and Static Awareness questions asked in the General Awareness Section are based on Current Affairs only. The questions on Static and Banking Awareness are related to the countries, events or anything that has been in news for a while. Apart from the GA Section, an excellent knowledge of current news also helps you deal with the PI (Personal Interview) more efficiently so you do not give a mumble jumble answer to the interviewee's simple questions. Here is a quiz based on Oscar Award 2018 on Current Affairs to let you assess your Current Affairs Knowledge. Q1. The Annual Academy Awards (also known as Oscar Awards) were held recently in Los Angeles, the USA. This was the ___________ edition of awards ceremony. Sol. 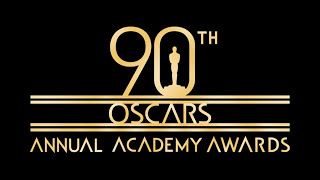 The 90th Annual Academy Awards (also known as Oscar Awards) were held at the Dolby Theatre in Los Angeles, the USA. Q2. Who was the host of Oscar Awards ceremony 2018? Sol. Jimmy Kimmel hosted the ceremony for the second year in a row. He has become the first host since Billy Crystal to do so. Q3. In the Oscar Awards 2018, name the picture that has won the top prize in the category of the Best Picture. Sol. In the Oscar Awards 2018, 'The Shape Of Water' won the top prize in the category of the Best Picture. Q4. In the Oscar Awards 2018, Best Actress award was given to ______________ for her role in Three Billboards Outside Ebbing, Missouri. Sol. In the Oscar Awards 2018, Best Actress award was given to Frances McDormand for her role in Three Billboards Outside Ebbing, Missouri. Q5. In the Oscar Awards 2018, Best Actor award was given to Gary Oldman for his role in ___________. Sol. In the Oscar Awards 2018, Best Actor award was given to Gary Oldman for his role in 'Darkest Hour'. Q6. The Academy Awards are a set of 24 awards given annually by the AMPAS. It stands for ___________________. Sol. The Academy Awards are a set of 24 awards given annually by the Academy of Motion Picture Arts and Sciences (AMPAS). Q7. In the Oscar Awards 2018, __________ won in the category of the Best Animated Feature Film. Sol. In the Oscar Awards 2018, 'Coco' won in the category of the Best Animated Feature Film. Q8. In Oscar 2018, name the winner who has become the oldest person to win an Oscar with his award win for best-adapted screenplay for the film 'Call Me By Your Name'. Sol. In Oscar 2018, James Ivory became the oldest person to win an Oscar with his award win for best-adapted screenplay for the film 'Call Me By Your Name'. Q9. The first-ever Academy Awards were held in ________. Sol. The first-ever Academy Awards, which took place in 1929, lasted only 15 minutes. Q10. In the Oscar Awards 2018, the Best Foreign Language Film was awarded to 'A Fantastic Woman'. It is from which country? Sol. In the Oscar Awards 2018, the Best Foreign Language Film was awarded to 'A Fantastic Woman'. It is from Chile. Q11. Name the youngest person in the history of Oscars who won an award for the Best Supporting Actress for film 'Paper Moon'. Sol. Tatum Beatrice O'Neal became the youngest person to win an Oscar at the age of 10 in 1974. She won the Oscar for Best Supporting Actress for the 1973 film Paper Moon. Q12. Name the world's first hand-painted feature film that has been nominated in the 'Animated Feature Film' category at Oscars 2018. Sol. 'Loving Vincent', the world's first hand-painted feature film, has been nominated in the 'Animated Feature Film' category at Oscars 2018. Q13. Name the first Indian to receive an Oscar award for the Best Costume Design award at the 55th Annual Academy in 1983. Sol. Costume designer Bhanu Athaiya became the first Indian to get an Oscar when she received the Best Costume Design award at the 55th Annual Academy Awards in 1983. She shared the award with British costume designer John Mollo for their work in the film 'Gandhi'. Q14. Which among the following was the first Indian film to be nominated for the Best Foreign Language Film category at the Oscars? Sol. The 1957 film 'Mother India' was the first Indian film to be nominated for the Best Foreign Language Film category at the Oscars. Q15. Who is the Director of the Oscar-winning movie 'The Shape Of Water'. Sol. Guillermo del Toro is the Director of the Oscar-winning movie The Shape Of Water. He was also awarded as Best Director for this movie.